DOWNINGTOWN — Downingtown East added another notch in its belt of wins this season with their most recent first round playoff win against Owen J Roberts at Kottmeyer Stadium. The Cougars dominated the gridiron with a whopping 42-13 victory over the Wildcats. The game seemed to go south for Owen J Roberts from the very start of the game when they botched the opening kickoff and Downingtown recovered. “It spiraled out of control early for us” said Wildcats coach Rick Kolka. Downingtown’s offense led by quarterback Bryce Lauletta and running backs Garvey Jonassaint, Tim Aivado, and Brassir Stocker, Downingtown put up 42 points in the first half. They scored on every drive they had the ball. 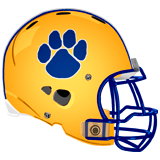 Owen J Roberts was able to get a touchdown within the last minutes of the game against Downingtown’s second team. The Cougars’ defense was great display of what shut down defense is supposed to look like, getting the offense back on the field as soon as possible. The Cougars advance in the playoffs with their next game at Kottmeyer Stadium against archrival Coatesville Friday 7 p.m.. Coatesville won the first match up between the the Ches Mont National Division rivals. Owen J Roberts only has a Thanksgiving Day game remaining against Pottstown. 01/16/2018 · Comments Off on On Your Table: With the Eagles in NFC Title game, make sure you eat to win!